News! Eleaf iStick TC20W iS On Sale Now ! 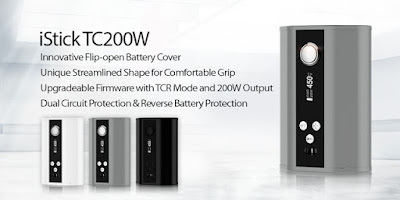 Do you now this good news ,another Eleaf iStick Products , iStick TC200W Box Mod ,is on sale now ,Would you like to buy one ? If you really do ,hurry up to buy it at the Eleaf iStick Officia Authorized online store ,Three colors Of The device are available now !